July 31, 2011 - Many people want to know the ramifications of a short sale versus foreclosure, so we have assembled the most up-to-date information to help educate homeowners who are faced with the prospect of getting losing their home. Though it is not a pleasant topic, it is important for homeowners to know they can have some control in their fate. In order to be prepared to choose a short sale versus foreclosure, review the following table of information that will help you understand what happens with each option. Again, the information is not pleasant, but you might find that there is a "best solution" for you. Credit Score A short sale itself will affect your credit score by approx 50 points. Late payments usually have the largest negative impact on your credit score at an average of 30 points each month. Your credit score could be lowered 300+ points and will stay on your record for 10 years. Credit History There is no credit reporting item for a short sale. Upon sale, your mortgage company will typically report the short sale as "paid", "Settled in Full" or "Paid as Agreed" on your report. A foreclosure will remain on your credit for 7-10 years and is permanent in the public records of your county. Future Loan with a Mortgage Company You typically do not have to declare to future mortgage companies that you previously performed a short sale On the federally mandated standard loan application form 1003, you will be required to answer "yes" to the question "have you had a property foreclosed upon or given title or deed in lieu thereof in the past 7 years?" Answering "yes" affects the interest rate you will receive. Future Fannie Mae loan for your Primary Residence After a successful short sale you may be eligible for a Fannie Mae backed loan after only 2 years. After a foreclosure you will be ineligible for a Fannie Mae backed loan for a minimum of 5 years. Future Fannie Mae loan for an Investment Property After a successful short sale you may be eligible for a Fannie Mae backed loan after only 2 years on non-primary residences. After a foreclosure you will be ineligible for a Fannie Mae backed investment loan for a minimum of 7 years. Deficiency Judgment Florida is a deficiency state and lenders can retain the right to pursue a deficiency judgment. However, with a short sale lenders write off the deficiency in which case they cannot issue a deficiency judgment. The bank has the right to pursue the full deficiency judgment in all foreclosures. Deficiency Amount A short sale home is sold at or near market value and in most cases, a greater value than a foreclosure sale which results is a lower total deficiency. This deficiency is typically forgiven as the higher selling price helps to cut your lender's loss. If the home does not sale at a foreclosure auction it will have to go through the bank's REO system. This will result in a longer sell time and additional expenses totaling a higher deficiency they can sue you for. 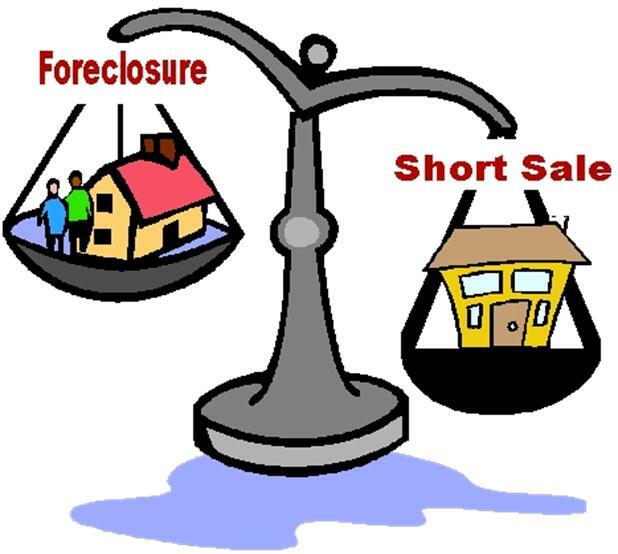 The choice between short sale versus foreclosure is very important for homeowners, and should be reviewed with a top distressed property specialist at Joe Manausa Real Estate.